I'm working on a story about amazing presidential suites in the city - have to say it's VERY fun! I got to see the presidential at the Mandarin Oriental NYC yesterday (only $18,000 a night!) and it's all about the views. Whether or not you can stay in the presidential, I love having a drink in the Mandarin's 35th floor lobby bar for the Central Park views. 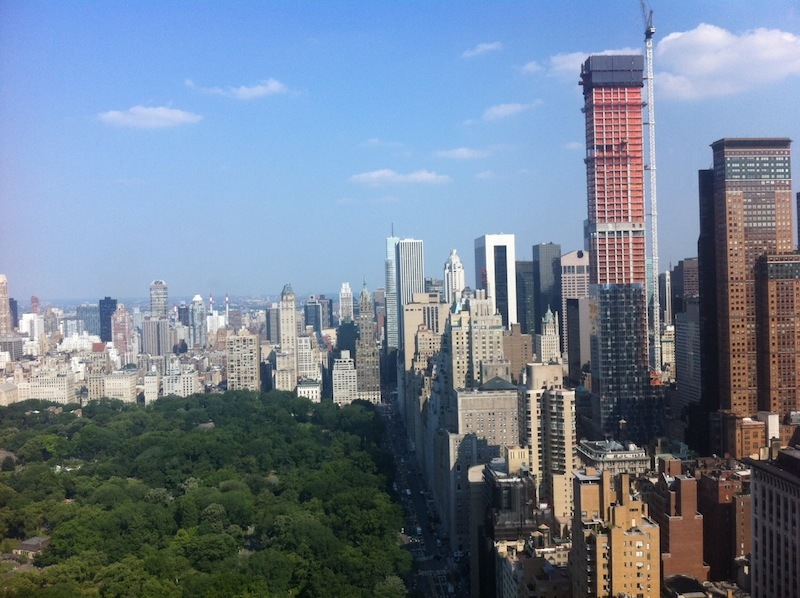 It really does make you fall in love with New York all over again - and I loved seeing One 57 going up in midtown. New York's most expensive residential apartment was sold at One 57 for $90 million.